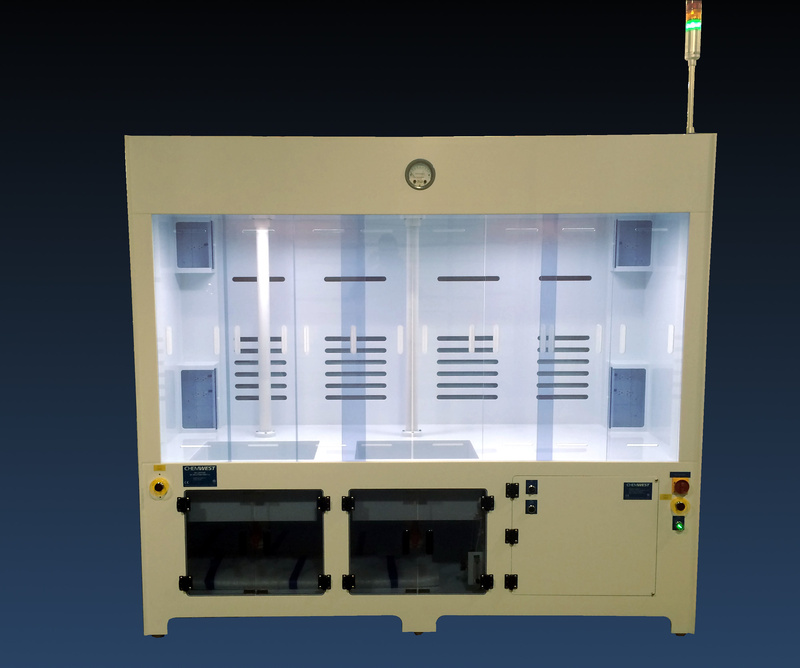 Recirculating (ductless) – air is drawn from the front of the cabinet and expelled outside of or inside the room/building through a filtration system. 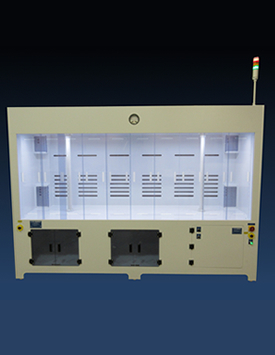 Filtration systems can be integrated into the Fume Hood itself depending on the application. Ducted – air is drawn from the front of the cabinet via the in-house air/vacuum system and is exhausted outside of the building after flowing through scrubbers that clean the exhausted air. 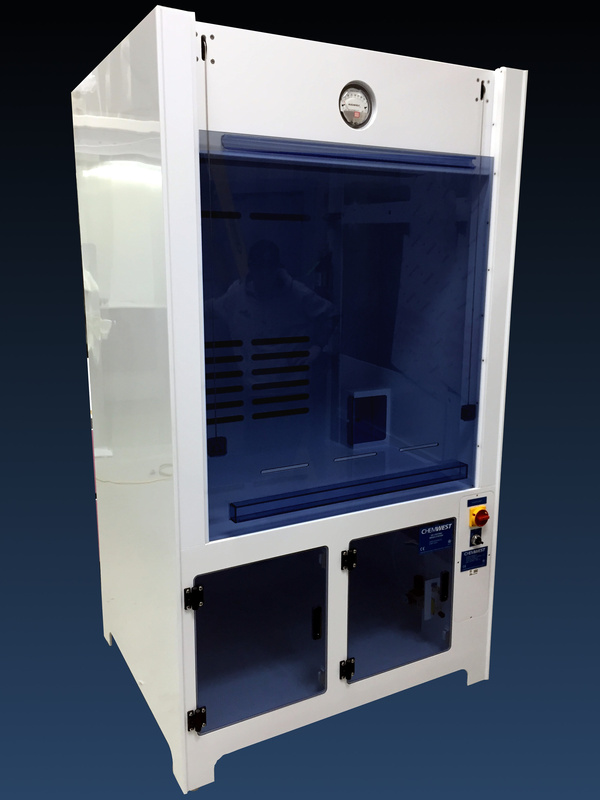 We commonly engineer a Fume Hood to achieve a 100fpm face velocity, consistent with the SEMI standard and OSHA safety requirement. 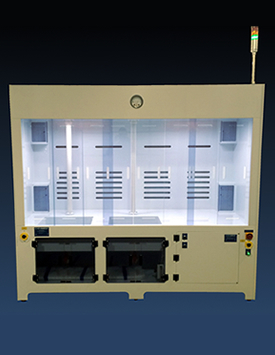 Our Fume Hoods are engineered to fit your specific application for face velocity (air flow) requirements. 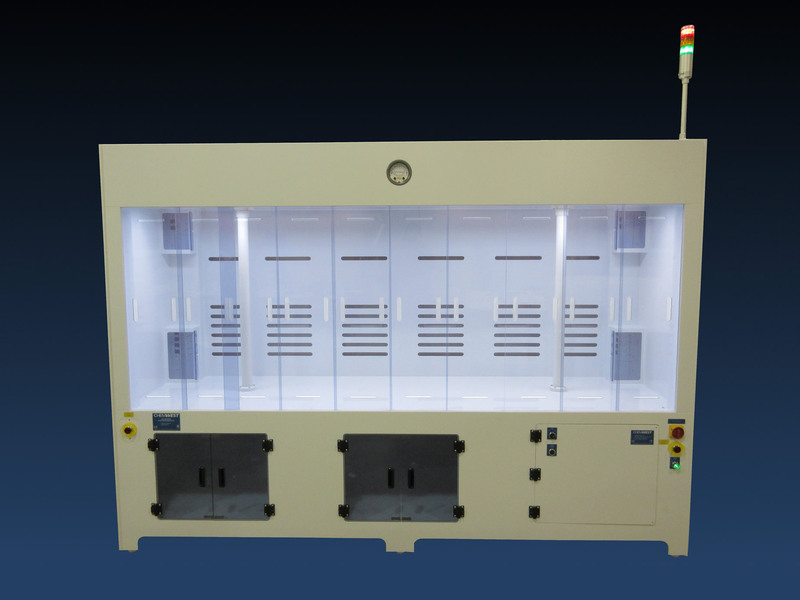 Fume Hoods are commonly made with a sash that can be opened and closed. Chemwest offers a variety of options including the vertical, and sliding horizontal sash. The most commonly used sash is a vertical counterbalanced sash operated by a cable and pulley system. A counterbalanced sash can be easily opened from any location along the width of the station. Horizontal sliding sashes are an option that allows one work area to have an open sash while others can be closed. The horizontal sliding sash helps minimize air flow and exposure for stations not in use. Typically the sash is made from clear PVC material, or if fire retardency is a requirement – FM 4910 rated Takiron can be used. 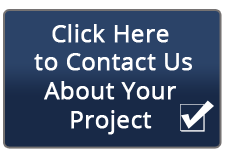 These are common dimensions, but we can easily modify designs to fit your specific need.